Despite some of the toughest market conditions in years, Mighty River Power increased its retail volumes, generation and earnings in the period under review. The company, already gaining generation share on the back of its $1 billion investment in geothermal energy the past five years, has used a string of retail initiatives to help increase its sales amid high rates of industry churn. Despite a 7 per cent decline in retail accounts, overall retail volumes rose. The Tiny Mighty Power brand signed up more than 5,300 provincial customers in the year, while GLO-BUG, the company's smart-meter based prepay product, also gained new users and this year will take over former prepay customers of Meridian Energy in Christchurch. Mercury earlier this year extended its three-year fixed deal to customers already on the plan and more than half way through their contract term to help contain churn rates. The company also deepened partnerships with organisations such as RD1, the Tourism Association of New Zealand and the Auckland and Otago Chambers of Commerce to increase volumes in the small to medium-sized enterprise market. As a result, commercial fixed-price, variable volume sales increased 24 per cent from the year before. Key to the company's successes over the past year has been Mighty River Power's investment in new geothermal plants to supplement its nine hydro power stations on the Waikato River. Engineering and operational innovations at its power stations have also improved efficiency and yields. Generation volumes in the year to March 2012 increased 11 per cent to 7,214 GWh, in part due to higher gas-fired production during times of high wholesale prices. In 2011, GKS Hydro rated the company in the top five among a 43-strong international peer group based on the cost efficiency of its operations. Mighty River Power has embarked on a $500 million decade-long upgrade programme of its Waikato hydro assets and in October commenced a $28 million refurbishment of its Ohakuri power station. The project will see turbine peak efficiency rise to about 96 per cent from 89 per cent and increase annual generation by more than 28 GWh. The 82 MW Ngatamariki plant under construction will be Mighty River Power's third new plant since 2008.The company is among the world's biggest geothermal operators and this year the first international geothermal project it is involved with was commissioned - the 49.9 MW John L Featherstone plant in Southern California. But the domestic geothermal portfolio, already achieving a high level of availability at more than 94 per cent, is also benefiting from innovative solutions to deal with silica deposition in reinjection wells. A system for acid-treating geothermal brine before reinjection was developed at Kawerau and then replicated at Nga Awa Purua. It has seen the decline in injection capacity cut by about two-thirds over two years to 3.5 per cent early this year. As a result plant availability increased over the same period from 90 per cent to 97 per cent. Those efficiency gains, and Mighty River Power's increasing market share, saw the company's net profit for the six months to December increase 9 per cent, while underlying earnings climbed 14 per cent. In March the company raised its full-year EBITDAF forecast by about 7 per cent to $460-$475 million. Mighty River Power recognises its business is based on its ability to sustainably generate from natural resources. And the company says the relationships it has forged with local communities and regulators have been key to the development of its geothermal assets and the ongoing operation of its dams. It is the principal funder and administrator of the Waikato Catchment Ecological Enhancement Trust. Working with Waikato River iwi the trust has approved 122 projects worth a total $2.4 million in the past eight years. Projects have included the creation, protection and enhancement of wetlands and game bird habitats, enhanced fish passage, native tree planting and riparian protection on private and public land. And at Karapiro this year, in a project with Ngati Koroki-Kahukura and NIWA, the company installed a siphon in an existing channel in the dam to test whether the bypass channel would attract eels and enable them to pass over the dam. Mighty River Power says it will continue to refine the system to assist downstream eel migration science which remains a worldwide challenge for hydro operators. 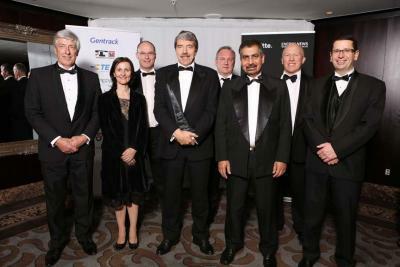 The Overall Energy Company of the Year Award category is sponsored by Port Taranaki.